Deferred Consumption: How big would SLC be if it were built like NYC? How big would SLC be if it were built like NYC? 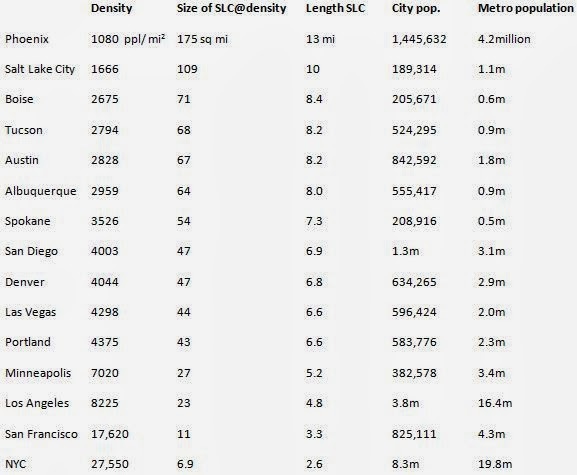 The data below not only show the physical size of SLC if it had the density of other cities, but also it's length (if square). 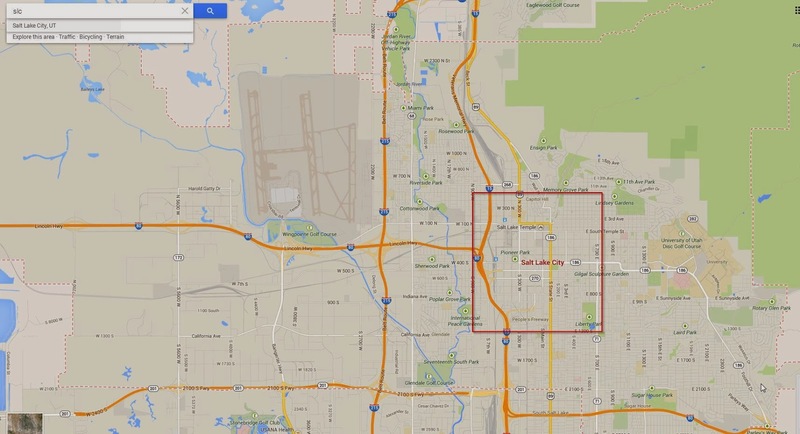 So, if SLC even had the population density of San Diego (not exactly known for being urban), SLC would require about half the space it currently occupies (ie, 47 sq mi instead of 109). Thinking about how SLC compares to other cities may help us find ways to make it better. To be clear, I'm not saying any particular setup should be forced on anyone. Certainly, the local market in any one city should decide how to best allocate space. In future posts, I'll discuss how strict local ordinances, laws, and rules have made SLC less dense than what the market would otherwise decide on. Very cool. Sad that San Francisco is such a gated place that we even have to be thinking about this. Love atlanticcities.com. What is the Clean Air Caucus?